The American Revolutionary War was only part of the global war that was waged in the 1770s and 1780s between Britain on the one side and America, France, Spain and Holland on the other. It included conflicts in the West Indies, The Mediterranean, North America and India, and was all part of the worldwide struggle for trade and empire. The conflict in America, was a watershed period in US history, but to Britain and France it was a side issue, for the West Indies and India were seen as more important theaters of war. Indicative of this, Britain never sent any first-rate ships to America: they were deployed elsewhere around the globe. From an American point of view we can regard the major players simply for the role they played whilst they were in America. Many of them in fact continued in illustrious careers. Cornwallis is typical of these. Cornwallis played a significant role in US history, but he also took part in the Seven years War, the Napoleonic wars, an insurrection in Ireland, and a war in India against Tippoo Sultan. Before the Revolutionary War he had spoken out in favor of the Americans, and his Whig politics and Masonic background made him what we might call today a Liberal (at least, for the era in which he lived). He supported Catholic Emancipation against King George's wishes, even going so far as to resign as Viceroy. He was an educated man who, unusually for the period, made a study of the art of war. Charles Cornwallis was born into old English aristocracy in the County of Suffolk. 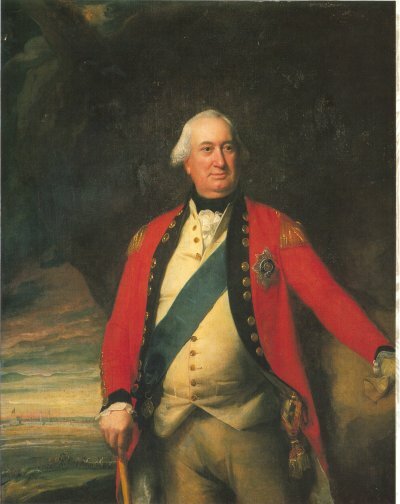 He was the eldest son of the 1st Earl Cornwallis. Educated at Eton and Clare College, Cambridge, he attended the military academy in Turin, then became an Ensign in the 1st (Grenadier) Guards just before his 18th birthday. Like many officers of his generation, he fought in Germany during the Seven Years War, rising to become Lieutenant Colonel of the 12th Regiment of Foot. On the death of his father in 1762, Cornwallis became the Second Earl Cornwallis and set aside the military to serve in Parliament, where he sided with the American colonists on all the major issues of the day. He voted against the Stamp Act (1765) and the Declaratory Acts (1766). His abilities and connections led to appointments as Aide-de-Camp to the King, Chief Circuit Court Justice south of the Trent River, and Joint Vice-Treasurer of Ireland. In 1770 he was made Constable of the Tower of London. the rebels and went into winter quarters. Cornwallis was granted leave to go visit his wife in England. Before he could leave, the Americans won the victory at Trenton and Cornwallis hurried back to the army. He went on to fight at Princeton, Brandywine and Germantown. It was not until December 1777 that Cornwallis was able to return to England, during which time he was promoted to Lieutenant General. He returned to America in time to win a victory at Monmouth against General Charles Lee. He went home again in November 1778, and despite the death of his wife on his trip home, he returned to America in time to join General Clinton for the capture of Charleston from General Benjamin Lincoln. He was given command of all operations in the south when Clinton returned to New York. Cornwallis moved into South Carolina where defeated the American army, led by General Gates, at Camden. He then moved into North Carolina and fought the American army, this time led by General Nathanael Greene, at Guilford Courthouse. Cornwallis, after meeting strong resistance in the Carolinas, realized that a way to lessen that resistance was to knock Virginia out of the war. Cornwallis' advance into Virginia resulted in the events at Yorktown. After enduring a massive artillery bombardment, Cornwallis was forced to surrender his army to the American and French forces. Cornwallis was paroled immediately after Yorktown. He returned to England and was officially exchanged in March 1782. He did not share in the blame for his defeat at Yorktown and his reputation did not suffer: indeed he was in great demand as a warrior and able administrator. In 1785, Cornwallis was appointed Envoy to the Court of Frederick the Great of Prussia. In 1786, he became Governor-General of India (1786-1793) where he made reforms in the civil and military service and personally led the campaigns that won British victory in the Third Mysore War, distinguishing himself in campaigns against the Tippoo Sahib. His Cornwallis Code of legal and administrative reform served the country well for many years, and for this he was elevated to Marquess Cornwallis in 1792, and in 1793 was promoted to General. He was appointed to the cabinet in 1795, and as the only General in the government, he was responsible for defense. Cornwallis was appointed Viceroy of Ireland and Commander-in-Chief (1798-1801), where he succeeded in subduing the rebellion led by Wolfe Tone, and crushing the French invasion force. He won the confidence of the militant Protestants (Orangemen) and of the Catholics. Despite his successes, he resigned in 1801 because of the King's refusal to support Prime Minister William Pitt the Younger's proposal for Catholic emancipation. He worked to achieve the Act of Union which united the Irish and British parliaments (1800, effective January 1, 1801, when the British flag was changed to its present form). As the British plenipotentiary, with Joseph Bonaparte he drew up the treaty for the Peace of Amiens was concluded with Napoleonic France (27 March 1802). He was reappointed Governor-General of India (to replace Lord Wellesley) in 1805 and it was there that he died of enteric fever in Ghazipur (now in Uttar Pradesh) shortly after arriving. Today, Cornwallis' tomb overlooking the Ganges River is respectfully maintained by the Indian Government. We have Knights (and their counterpart, Dames), such as Sir Francis Drake, Dame Edith Sitwell. Then come Peers, such as Lord Cornwallis of Eye. Viscounts, such as Viscount Brome. Earls, such as Earl Cornwallis. Marquesses, such as Marquess Cornwallis. Note that in English the title is always pronounced 'mar-kwess' whether you spell it Marquis or Marquess. The gentleman's lady is called a Marchioness. A 'mar-kee' would be French, and would be spelled Marquis. The German equivalent is Margrave = Mark-Graf. The title Duke is nowadays reserved for royals (such as The Duke of Edinburgh), and to families with a long history of dukedom (such as The Duke of Norfolk). It has sometimes been awarded to men of outstanding abilities (such as the Duke of Wellington). After Dukes come Princes, then King or Queen. Charles Cornwallis, 1st *Marquess Cornwallis, 2nd Earl Cornwallis, Viscount Brome, Baron Cornwallis of Eye. The honors proceed in descending order of importance, and might include several baronies. This one omits his knighthood (as being less important). You would use the style when writing a letter to the gentleman, and it is also how he would be announced at a levee by a footman, who would 'rehearse the style' (as calling out the name is referred to).